Original paintings by the Swedish born artist Axel Fridell is rare and therefore very much searched for by collectors in the art market today. 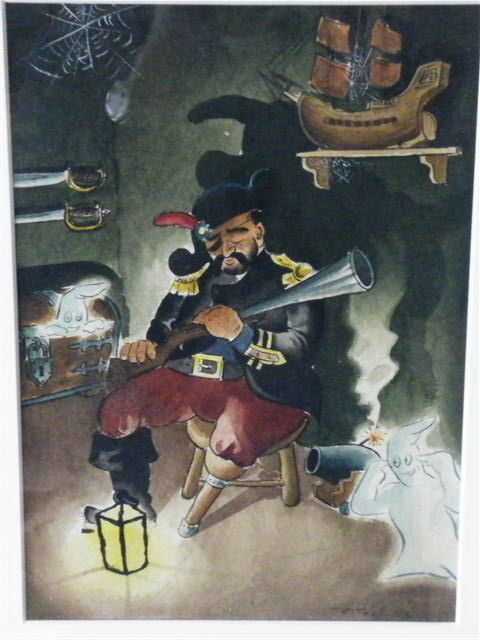 The price record for original painting by Axel Fridell is: 24.322 USD. 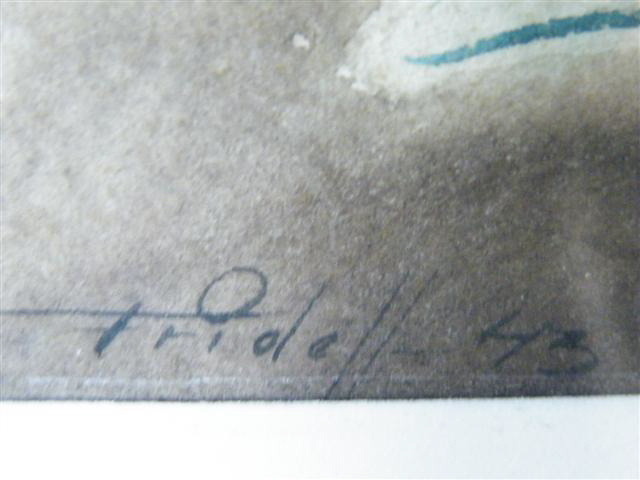 This is an early water colour signed Fridell 23 (-13). Ragnar Hoppe says in 1955 that if Axel Fridell had tried to be a famous artist as a painter in colours he would have been equally famous inthe art of painting as he became famous for his art in black and white within the art of etchings. Source to information about Axel Fridells education, exhibitions and signing is the catalogue book Images 1 AXEL FRIDELL by Karl Haskel, Society of graphic art in Stockholm and publisher Skoogs printing company LTD, 1986. Exhibitions: Axel Fridell exhibited at Royal Academy of Art in London in the summer of 1929 and also in Chelsea Town Hall and Central Hall in London 1927. Approximately 80 exhibitions all over Sweden including Stockholm: National museum of Arts, Waldemarsudde, Liljevalchs and also in Gothenburg and the city of Malmo. These are among the finest exhibition halls for fine art in Sweden in modern times. This is a very early painting by Axel Fridell, who is also known for having performed for instance the motive Olliwer Twist LONDON 1932-1933 and also etchings with motives from for example London and Stockholm. Axel Fridell had many exhibitions all over Sweden and also in for example London(1927, 1929), Paris, Oslo, Copenhagen, Hamburg, Berlin. Education at the famous art school in Sweden: Carl Wilhelmssons in Stockholm 1913 and three years in Swedish Academy of fine art. Axel Fridell died already at the age of 40 and Axels father Johan Fridell therefore signed several of Axels works with Axel Fridells name after Axel Fridells death. The year 23 clearly appears in this painting. With the use of inverted dolours one can clearly see that the darker colour that Fridell used for signing is formed into the figures 23. See separate picture on the year with the background colours in focus. 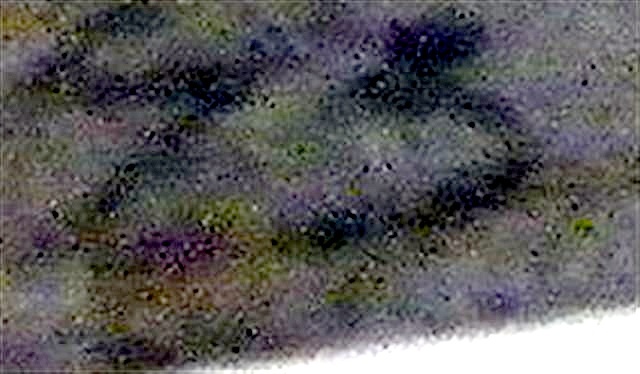 The year could be read as 43 especially if you look on the painting from a distance if you leave out of account the fact that the upper part of the signing of what could be forming the number four clearly lies above the figure three: The photograph revealing all the colours indicates the figure 23. 1923 Axel Fridell spent the whole year in Falun after having been travelling in Europe in 1922. 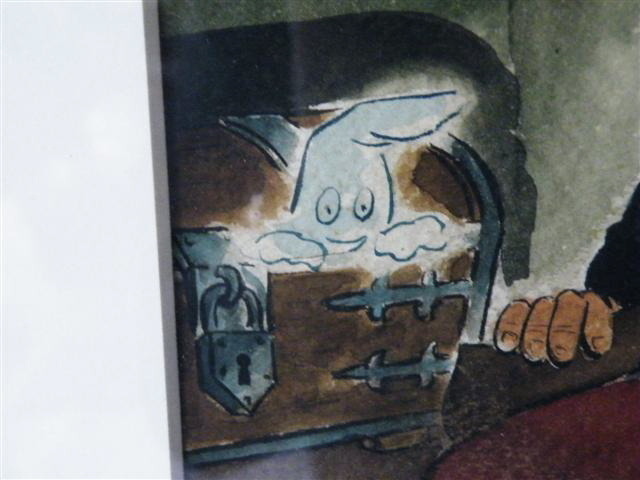 After studies of Axel Fridells signing especially on the etchings I think it is obvious that Axel Fridell himself did the whole of the signing and that the year is probably 23 or maybe -13. Axel Fridell was in 1913 19 years old and were to begin his studies or already stuied in Wilhelmssons Art school in Stockholm. And very interestingly if one compare the artists signatures from the beginning of the 20th century there is an example where the number one can be read as number four reading 1944 instead of the correct year which is 1914, -see page 346 in the first catalogue volume one of Axel Fridells etchings compiled by the author Karl Haskel. Even though any exact comparison between signed etchings and signed paintings not can be made it is clearly noticeable that Axel Fridell for instance used a longer line in the letter F, see example from year 1917, H.99 in the very same book. Karl Haskel also for instance writes that Axel Fridell had a very wide range of alternative signing in the early of the 20th century especially there is a big differance in his signings from the years 1916 and 1917 and please notice that the signings these years sometimes were done without the letter A likewise as in this particular painting. Axel Fridell is perhaps mostly renowned for the portrait of an englishman named Mr Simmons reading a newspaper and these etchings are very collectible items in the fine art market today. Axel Fridell is also well known for his masterly performed etchings with motives from Stockholm and also for instance London and some experts say that he was even better as an etcher than Anders Zorn. The name of this original painting is unknown. Provenance: Bought in Falun, Axel Fridells home town in Sweden where he produced several of his art works in oil painting, watercolours and etchings. Several exhibitions with Axel Fridells works has been showed all over Sweden and abroad after his death in 1935. Price example:A fine art auctioneer in Stockholm has recently sold an original oil painting by Axel Fridell for 21783 USD, (13983 GBP). 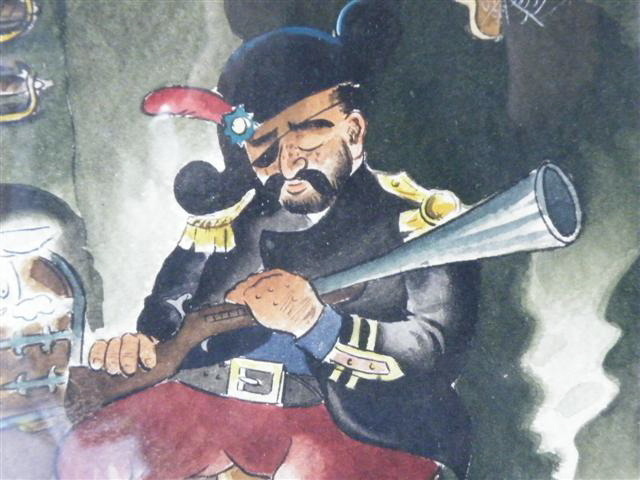 According to news in the dalecarlian newspaper with the name Dala-Demokraten 2010 02 04 not many are aware of the fact that Axel Fridell spent most time on his paintings during his artistic career. Influences from Picasso are also mentioned in the same article.